Distribution and logistics is not something you usually associate with being a writer. But nobody reads your book without it! So last Thursday myself and Chris Akiba Wang ran a workshop on the subject for Tokyo Writers Salon. We talked about margins within the supply chain, how distribution deals are structured, logistic options, and how to decide which one is best for you. Even if you decide not to do all this yourself, knowing this is part of the process of getting your book out into the hands of readers is worthwhile. We were surprised at the level of interest and all the questions coming from a writer who's onto her second novel, a small press founder and short story writer amongst others! Big thanks to Lauren Shannon for arranging, and everyone from Tokyo Writers Salon who attended. Our next session is on Marketing. Stay tuned for more details! 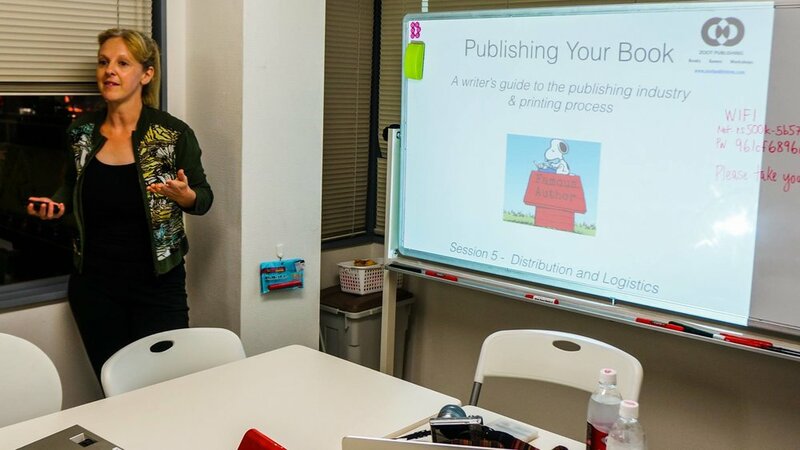 Posted on October 2, 2017 by Jacinta and filed under Workshops and tagged distribution and logistics A Writers Guide to the Publishing and Printing Process.